The Video of a mother beating an Imam Masjid gone viral . As per details, the Imam of the Masjid had been teaching Quran to 8 years old girl (daughter of that lady). 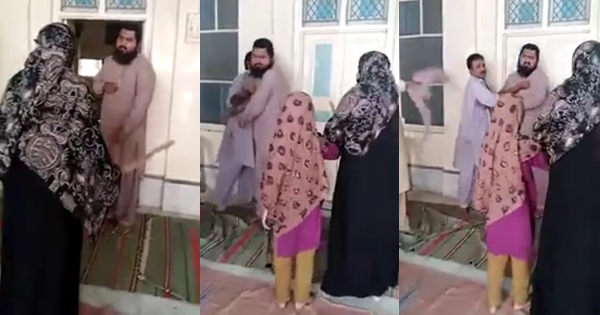 The young girl told her mother about the Imam touching her inappropriately all the time.The mother, father and other family members of the young girl went directly to the masjid and decided and started beating abusing Mullah. With sticks in their hand, the video footage was recorded to teach him a lesson. The mother grabbed a stick and started beating the Imam ruthlessly for the shameful act he had committed.